The original 30mm XHL block was released by Allen at the end of 2015, the design was received exceedingly well by the sailors in the high-performance market. This year Allen has expanded the range to include a 20mm and 40mm sheave size to help fill gaps in the market. The Allen XHL range has been designed to deal with eXtremely High Loads without compromising on low load dynamic performance. By combing the Allen patented Dynamic Bearing Technology with CNC machined aluminium side cheeks and a precision turned stainless steel sheave, the company has created a block range that can take a static load of up to 1500Kg. Perfect for use in vang cascades or halyard turning points where loads can be extremely high. 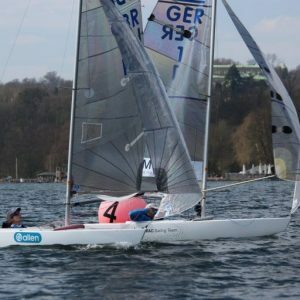 The 30mm XHL was originally designed on the feedback of Team Allen sailors who wanted a block strong enough to keep up with the demands of high-performance sailing. Watch the video below to find out how it’s made. 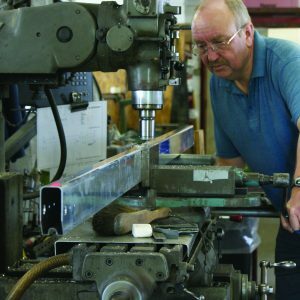 Allen Brothers, based in Essex, is known for consistently developing and upgrading sailing hardware. 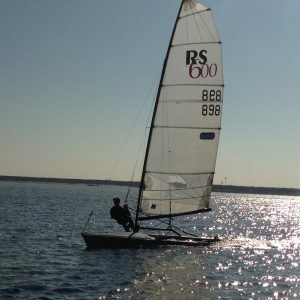 The company has a team of professional sailors that are always testing and relaying product feedback back to the Allen design team to ensure the hardware keeps up with the demands of modern sailing.